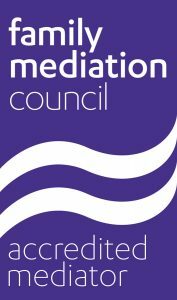 Sally is an accredited family mediator. Her practice is based in Banbury. Sally recognises that people only have so much emotional energy each day. She will help you to save it for the few things that really matter between you. From her 15 years as a solicitor and thereafter, Sally has much experience in assisting with relationship difficulties both formally and informally. When family postings abroad brought an end to her legal career, she began working for the Soldiers’, Sailors’, Airmen’s and Families’ Association. On settling in Oxfordshire, she served as a Samaritan for 6 years, a role she was privileged to perform, helping those from all walks of life facing some extraordinarily tough times and life-changing challenges towards some resolution. 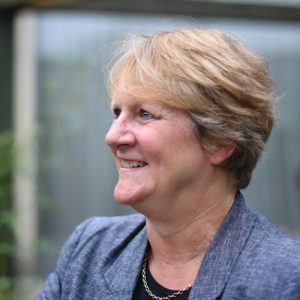 She worked for Oxfordshire Family Mediation between 2011 and 2018 where she delivered the Separated Parents Information Programme (SPIP) and SPACES, a workshop to help separated parents and their children. She also mediated a wide variety of cases including financial disputes and cases involving children. Sally has a BA Hons (Oxon) and is a qualified solicitor. She was trained as a family mediator by NFM, is a member of the College of Mediators and is fully accredited by the Family Mediation Council. She now works as an independent family mediator.